Jeep has made several updates to the Jeep Wrangler in an effort increase comfort and utility for 2013. This year we see more comfortable seats that are easier-to-use, a tire pressure monitoring system that shows the tire pressure for each individual tire, and a new, premium Alpine sound system. Unlimited models see a new soft top that’s easier to raise and lower along with an optional premium soft top. Also new this year is the limited-edition 10th-Anniversary Rubicon model that includes several upgraded off-road features and a unique “Anniversary Red” interior. Jeep is also offering a new Moab Edition package which includes special exterior and interior styling details. Jeep’s iconic Wrangler keeps getting better and better while maintaining its rough-and-tumble roots. Refusing to conform to modern SUV styles, the Wrangler holds onto its unique personality and ability to take on any terrain, and that’s a very good thing. With its angular silhouette, boxy shape, and tall stance, the Wrangler takes on off-roading like a champ, while also having the finesse to get its passengers around town in style. Take off the top and doors for a truly one-of-a-kind experience. The 2013 Jeep Wrangler is powered by a 3.6-liter V6 that puts out 285 hp and 260 lb-ft of torque. Four-wheel drive is standard and includes high and low-range transfer case gears, along with a six-speed manual transmission with hill-start assist. There is almost nowhere the Wrangler can’t go. The two-door Wrangler gets an EPA-estimated 17 mpg city, 21 mpg highway, and 18 mpg combined fuel efficiency rating regardless of transmission. The upgraded (and slightly heavier) Unlimited gets 16 mph city, 20 mpg highway, and 18 mpg combined fuel efficiency with the automatic transmission and 16 mpg city and 21 mpg highway with the manual. 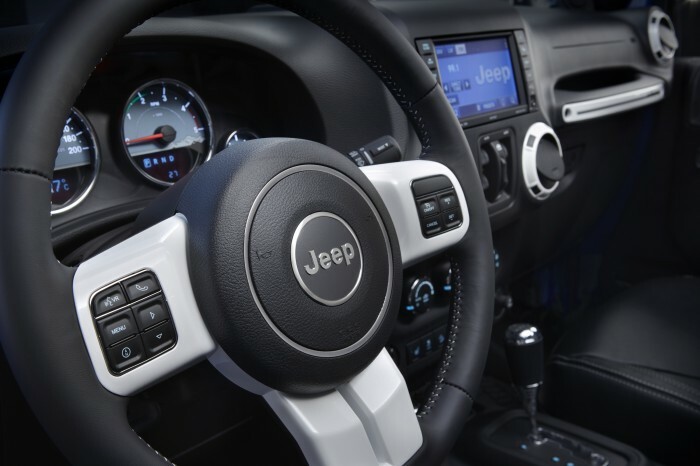 It’s no surprise that function and utility come first when it comes to the Jeep Wrangler’s interior. Jeep keeps the interior fairly simple, and cleaning it from top to bottom after a day of driving in the mud and dirt is no problem. The inside might not include all the high-tech features and high-end materials as its competitors, but that doesn’t mean the design isn’t practical and attractive. With fluid lines, cohesive design, and controls that are well-placed and intuitive in function, there’s nothing to hate about the interior. What the Jeep lacks in the inside, it more than makes up for in off-road performance. 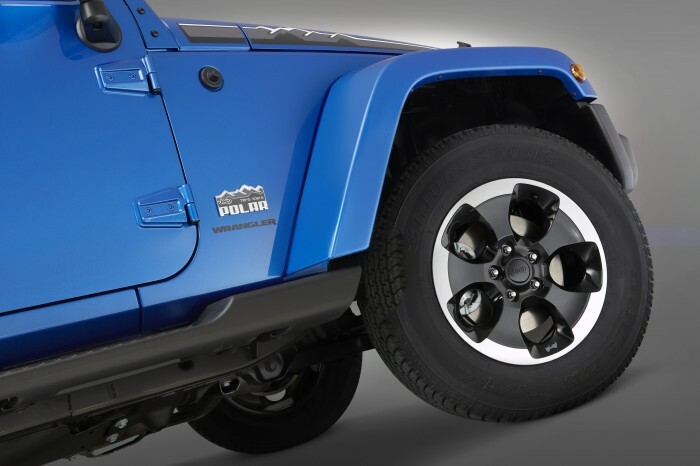 Antilock disc brakes, traction and stability control, and hill start assist come standard in the 2013 Jeep Wrangler, while front side airbags are optional. Due to the rustic off-roading nature of the Wrangler, its doors do not provide the same level of protection as most regular car doors do in a side crash, so we highly recommend opting for the side airbags.